I just wanted to share with you a new product I just added to my Teachers Pay Teacher Store that is just for bloggers and/or TPT Sellers. 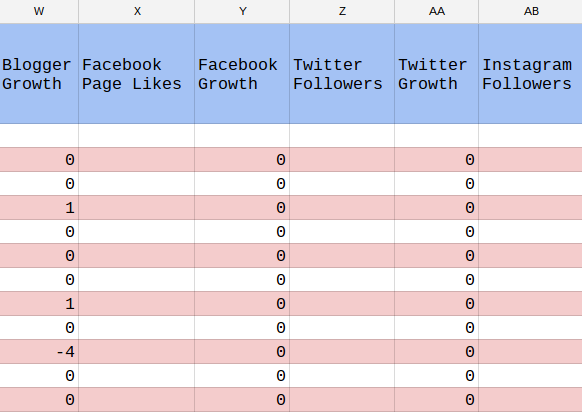 Any blogger could use this set of forms as I made the Excel and Google Doc Versions editable, so you can personalize it for your social media. 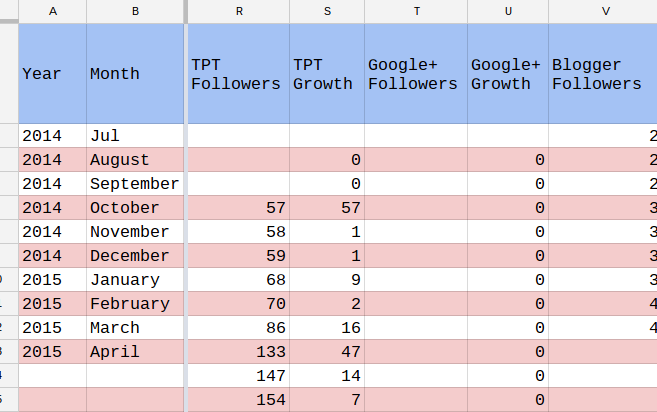 One version even has the growth formulas to show you what your increase in followers was from one month to the next. There five versions of this document included in this file. Each digital sheet has enough space for two years worth of data, but you can always open a new blank copy. The PDF has space for 18 months worth of data. PDF version on four pages to print out for those of you who would like to do it by hand. An Excel version of the basic blog and seller statistics that can be edited to fit your needs. 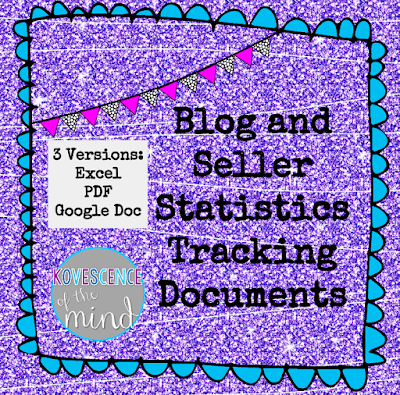 A Google Sheets version of the basic blog and seller statistics that will open in your Google Drive and can be edited. 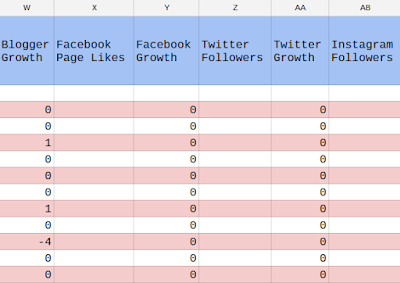 An Excel version of the blog and seller statistics that includes formulas to calculate growth each month. A Google Sheets version of the blog and seller statistics that includes formulas to calculate growth each month and will open in your Google Drive and can be edited. Be sure grab it now as I don't know how long it will be free. Don't forget to leave some LOVE afterwards.